Can You Handle a Superchips Tuner? If you’re a fan of tweaking your car’s performance, you’ve likely used various devices in attempts to improve its performance before – the market offers a large number of such gadgets nowadays. But you can’t really say you’ve tried everything viable until you’ve given your car a Superchips Tuner treatment. Basically, these devices work like most other tuners and programmers – they access your car’s electronics and modify their parameters according to certain criteria, with the final result being a serious boost added to your speed and torque. Most Superchips tuners modify your car’s horsepower count as well as its torque – though most of them are also designed to give it numerous other benefits as well, such as improved handling of gear switching, programming your gas mileage (which can be very important if you truly want to hear your car roar when you floor the gas pedal), as well as other factors not directly related to the driving performance. 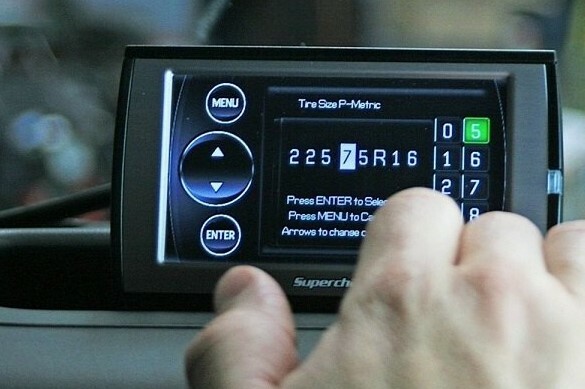 It’s important to note that most Superchips tuners are aimed at particular car brands and/or models, so you should know precisely which one you need to use for your car when shopping – even though in some rare cases it’s possible to use a Superchips tuner designed for one brand in a different one, it’s highly unlikely that it will work that way in your situation and you certainly can’t rely on that – so make sure you get the correct one. Also, don’t go overboard – sure, we know the thrill of being able to give your car an extra 100hp easy, but you should still be responsible about it and only do it in small increments until you feel comfortable with your car’s new power – needless to say, this modification can have severe consequences!